Product prices and availability are accurate as of 2019-04-16 16:26:59 EDT and are subject to change. Any price and availability information displayed on http://www.amazon.com/ at the time of purchase will apply to the purchase of this product. 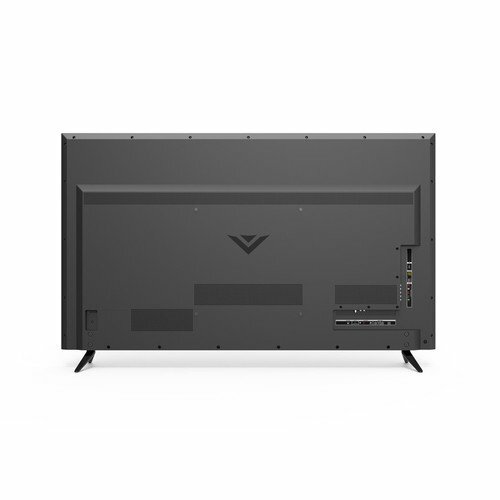 Introducing the all-new VIZIO D-Series Ultra HD Full-Array LED Smart TV. With over 8.3 million pixels in every image, four times the resolution of 1080p Full HD, D-Series Ultra HD displays produce breathtaking detail and clarity. Full-Array LED backlighting and 16 Active LED Zones deliver superior light uniformity with an extremely high contrast, and deep, pure black levels. Active Pixel Tuning enables pixel-level brightness adjustments for increased picture accuracy and contrast. 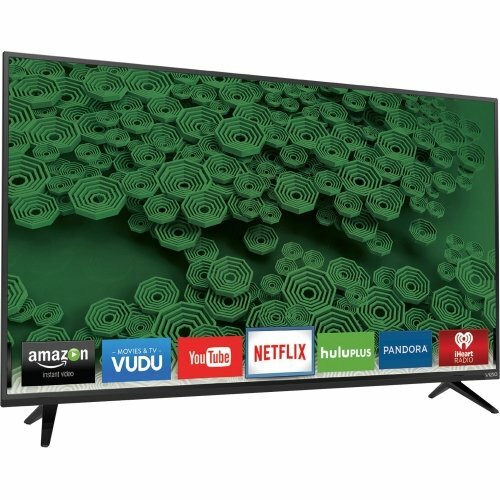 And with Clear Action 240, sports and action fans will appreciate the powerful image processing of the D-Series with a blazing 120Hz effective refresh rate enhanced with backlight scanning for sharper detail in fast action scenes. In addition, the beautifully designed D-Series is optimized to deliver all of your favorite entertainment in stunning 4k Ultra HD right out of the box. Thanks to HEVC decoding and ultra-fast 802.11ac dual-band Wi-Fi (up to 3x faster ), you’ll get Ultra HD streaming from popular apps like Netflix, Instant Video and UltraFlix. 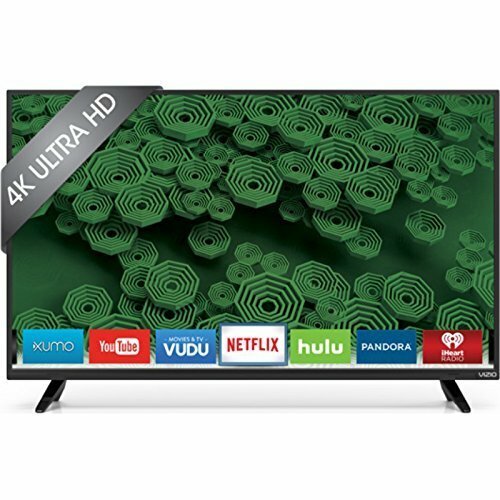 Its powerful Spatial Scaling Engine beautifully transforms your favorite 720p and 1080p HD sports, movies, and TV shows into near Ultra HD. And support for the latest HDMI standards enables Ultra HD playback from next generation cable and satellite receivers, Blu-ray players and game consoles. It all adds up to a beautifully simple experience where the picture is everything and nothing is more captivating! Source: IEEE standard 802.11 specifications. Maximum throughput rate of 802.11ac (1300 Mbps) is approximately three times faster than that of 802.11n (450 Mbps). Actual rate will vary, and will be subject to router model, site environment, range, Internet bandwidth and other factors. 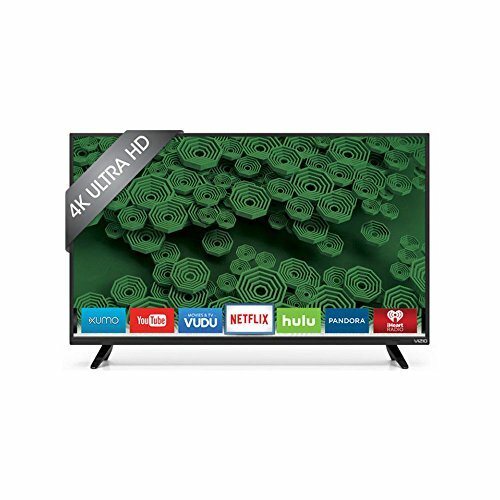 High-speed/Broadband Internet service and access equipment are required and not provided by VIZIO.